For the first time, an American eel has been caught in the Chicago River. 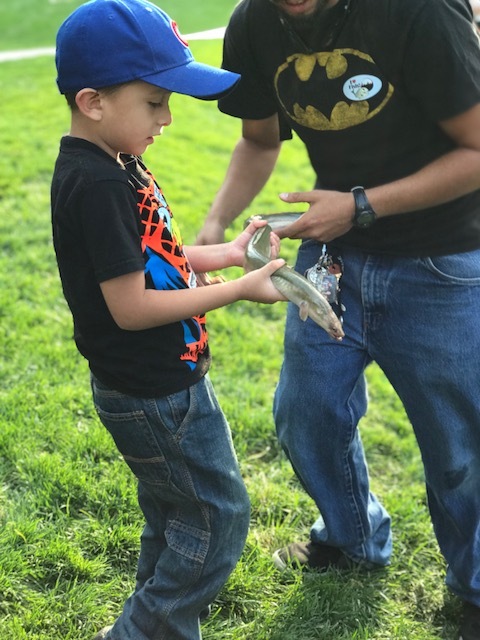 A 5-year-old angler, Richie Garcia of Brighton Park, Chicago, was the one who reeled in the rare fish. 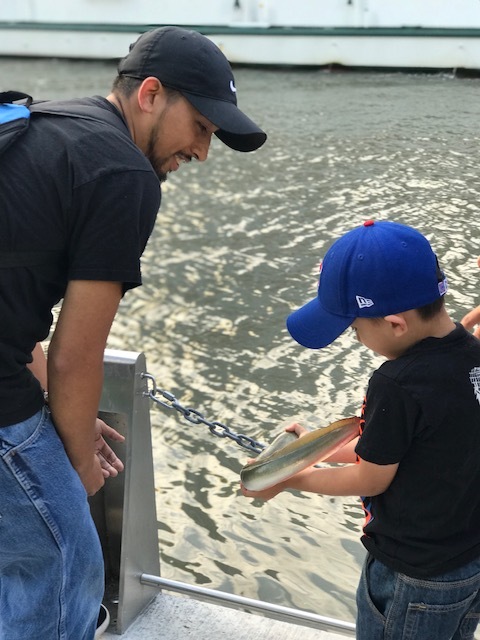 Richie and his father, Ruben Garcia Jr., visited the Chicago Riverwalk with nearly 200 other anglers for the first #ChicagoFishes event on Oct. 13. It was an opportunity for the public to learn more about the Chicago River and enjoy its improved water quality. For two hours, participants caught more than 30 fish representing eight species. Common catches included bluegill, green sunfish and channel catfish. But the catch of the day was the 2-foot-long American eel. American eels are rare across the Midwest. They’ve been found in rivers throughout the region, but never in high numbers. According to Philip Willink, senior research biologist at Shedd Aquarium, this is partially because of their sensitivity to pollution and low oxygen. And the dams and locks set up along the Chicago River keep the eels out. There is also a distance barrier. The Sargasso Sea is located off North America’s eastern coast in the North Atlantic Ocean. The rare catch points to just how much the Chicago River’s water quality has improved, Willink said. A river that once held seven species in 1970 is home to over 70 species today. Richie’s American eel is an important symbol of progress, but Frisbie and Willink say there is more to be done. 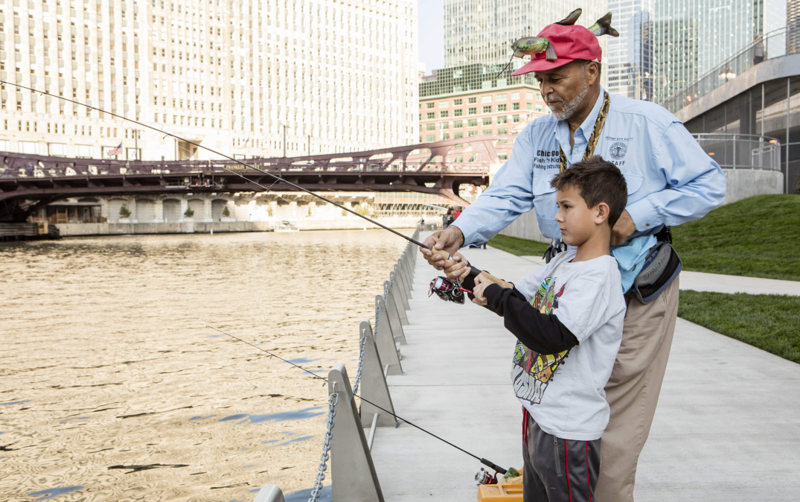 #ChicagoFishes was put together by a host of groups, including Friends of the Chicago River, the Environmental Law & Policy Center, Shedd Aquarium, the Illinois Environmental Council, the Chicago Park District and the Metropolitan Planning Council. These groups hope to hold the event again in 2018. Whether the American eel will make a repeat appearance is unknown. Even the same one could return. Richie released it back into the river after a quick photo op.